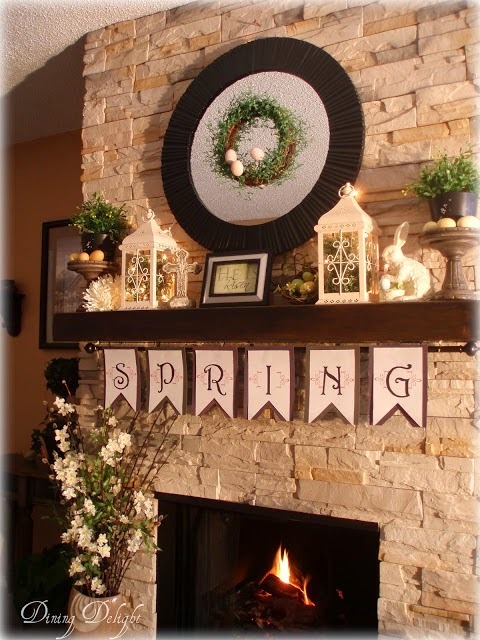 Do you have a more rustic style of mantel? Here's a great way to bring in the feeling of spring to an otherwise darker area. I absolutely love the banner! To visit Lori at Dining Delight, click on her mantel above. She also has the link to the free printable for the Spring banner!! !